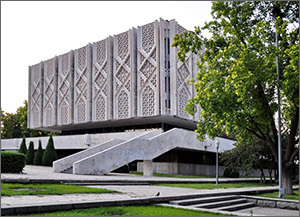 There is a building in central Tashkent is known to every local and guest as well as other historical buildings around it: Navoi Theatre, Tashkent Hotel, the former Palace of Pioneers, the puppet theatre and the Sharq publishing house. The delicate concrete cube-shaped building is built on a higher location than adjacent buildings and features wide stairs. The Soviet authorities used the building as the centre for forced pilgrimage of middle and high school children as well as foreign delegations because this is where the memory of the chief of the global proletariat was honoured in those days. The Lenin Museum—the building in question—was constructed in 1970 to commemorate the centennial of the communist chief and existed under this name for just over 20 years before it was handed over to the State Museum of History of Uzbekistan after independence in 1991. The history museum features over 250,000 exhibits that were collected over the course of existence since its establishment in 1876; the museum was then called the Popular Museum of Turkestan. The four levels of the museum feature various periods of history ranging from ancient artefacts to the Timurids era to modern days. The third and fourth floors feature the historical expositions: the third floor featuring the history of Uzbekistan between the era of dinosaurs and the 19th century, while the fourth floor features items from the 19th century to modern days. Although it was already difficult to say the section was pro-Soviet, it is now closed. A reporter of Fergana saw no renovation activities there even during business hours on a working day; not even a light bulb was turned on. “The fourth floor is not open at this time—renovation is underway. The ‘Soviet Era’ is closed. They promised to complete the renovation by September,” a curator told the reporter. An exposition about the compelled ascension of three Uzbek states—the Khorazm and Kokand Khanates as well as the Bukhara Emirate—into the Russian Empire’s fold as vassals used to be located at the entrance of the Soviet Era hall. The featured documents of the era bore testimony to the fact that these khanates—then weakened by internecine wars and loss of importance of transcontinental roads between Central Asia and Europe due to newly-discovered sea routes—submitted to the will of the Emperor only after lengthy battles of resistance with Russian troops. 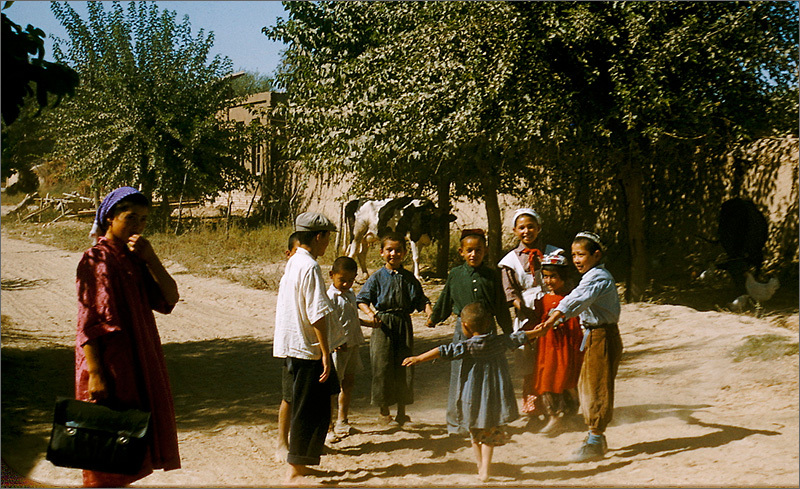 That said, the Soviet period exhibit was ambiguous and filled with numerous documents on repressions and participation of Uzbekistan in World War II. 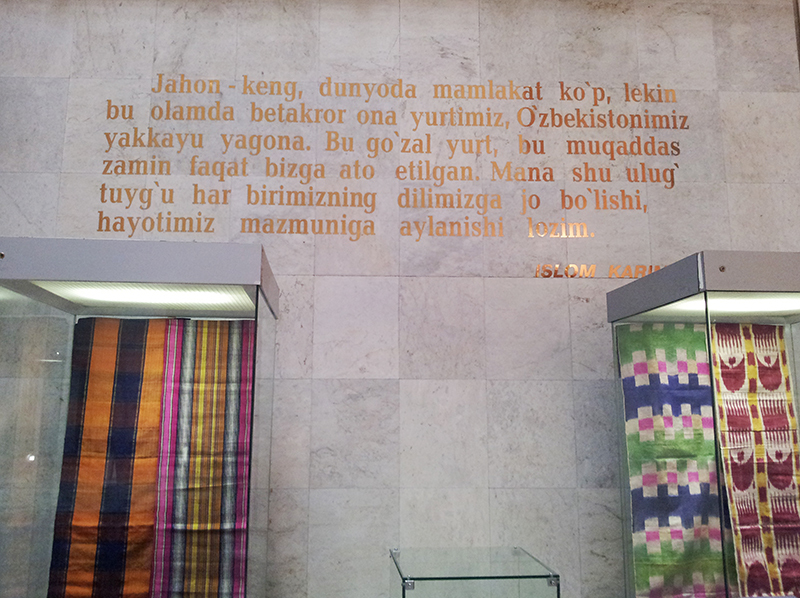 However, when it comes to the period since obtaining independence, the museum features even the finest details of history—every visit the only president of Uzbekistan paid to various countries over the last 25 years, the dates of establishment of various ministries and agencies, and other scrupulous information of this kind. 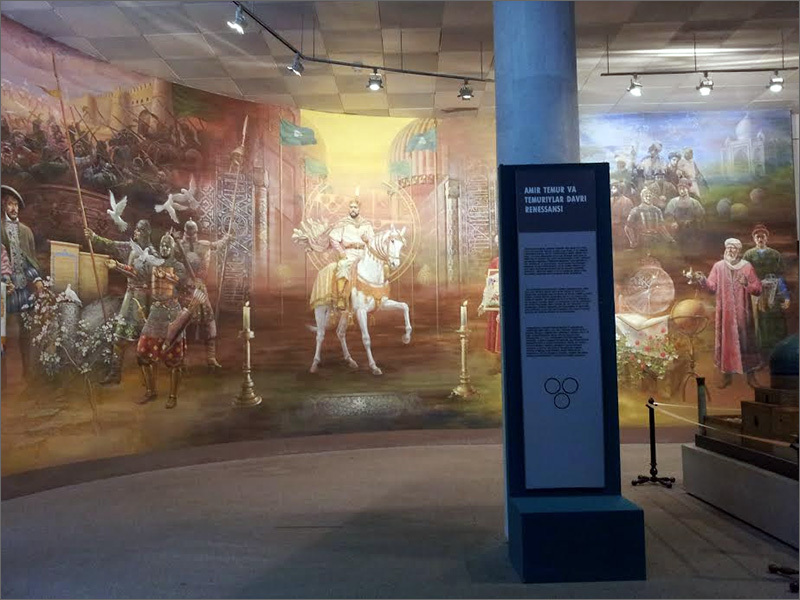 Exhibits on the creation of state symbols, strengthening defensibility and combating terrorism are found here as well. Obviously, Islam Karimov used to occupy the central and most important space on this floor. It is a pity a fresco featuring Jalilov and Karimov surrounded by all great ancestors of the Uzbek nation in the centre of the universe was removed. At least several literally golden words uttered by the modern head of nation remain beautifying a wall. The president’s personality is a red line that goes across the entire historical exhibits. Here you can see Islam Karimov commenting on the Avesta book of the Zoroastrians, and over here you will see for yourself the proofs of his contribution to the eternal preservation of great thinkers and scholars of the Middle Ages—Al-Bukhari, Al-Termizi, Al-Maturidi, and Naqshbandi. Strictly speaking, it is difficult to see ideological implications only in that part of the museum, which features the ancient period between Palaeolithic and Bronze Eras. This section is also devoid of “tales” about ancient states that once existed on the territory of the modern Uzbekistan and ancient religions of Buddhism, Zoroastrianism and Hinduism. The ideological overtone rears its head starting with the Arab conquest era. This complicated period of history is covered with only a few lines and couple of images. The “modesty” of the section is understandable—after all, the period covers conquests of the region, which is a quite uncomforting fact for those who are writing their country’s history under dictation. But on the other hand, the Arabs brought a new religion—Islam, which promoted the thriving of sciences and cultures in Central Asia. And here ascends onto the historical scene Amir Timur (Tamerlane), who enjoys vast spaces in the museum. A fresco featuring him surrounded by scholars of Central Asia, soldiers and foreign ambassadors occupies half of a wall. Those soldiers with doves above is especially pleasing to the eyes because perhaps they symbolise—wait for it—the absolute peaceful mission of Tamerlane’s conquests… Apparently to make this “peacekeeping” image complete, the period of Tamerlane’s and his descendant’s rule (XIV-XV centuries) is called “Renaissance” in the museum. The entirety of the period covering between the 16th and 19th centuries is presented in the form of applied arts only even though an explanation of the khanates’ economies and culture are made equal to similar achievements in Western Europe. An explanatory panel that opens the Late Middle Ages section informs the visitor about the causes of retardations in development that followed: contraction of trade on the Great Silk Road and dynastical wars for hegemony in Central Asia that threw the region into isolation spiral. That said, no details are provided as to who fought whom, what dynasties ruled in the khanates and emirates in this period of history, and causes of conflicts between them as well as consequences… Who would risk “blackening” the bright image of great ancestors!